OUTSOURCING WEB SOLUTION offers a great range of specialized services for flash application development. Our services have gain worldwide admiration for its stunning and eye-catchy mode of representation. Purpose of the developing flash application is that to create dazzling and innovative presentations which in turn noticed by the visitors in a single glance. Our creative and innovative team of flash application developers makes your website representation more attractive and exciting along with making exceptionally user friendly. Our application developers know the significance of attracting and retaining the short attention span of an overall internet user. Our flash web application service will turn your website with a highly impressive, memorable and lively site to create a dynamic image of your brand, products and services. 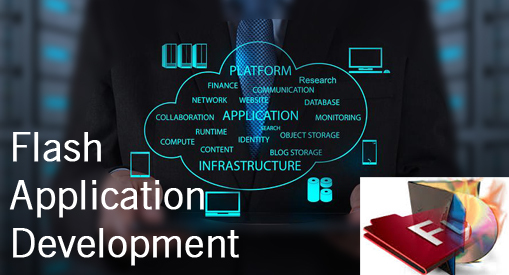 By bringing forth a good interaction between you and your clients and intelligently developed flash applications may result in efficient communication in educational, technical and business environments. We own the highly qualified and experienced team of programmers capable of developing a great range of customized flash applications as per need of the clients. Our skilled solutions are well suitable with small and large businesses.